Okay, so the next 'Galaxy' is now sight. For some folks this is it, the newest of the new. Top of the line. Samsung has really built up quite the following since the first Galaxy S Captivate. I just saw a sponsored ad on my Facebook feed about how iPhone is awesome or something and nearly 99% of all the comments were "not better than my Samsung". Essentially the S9 is the S8 but with some Note 8 guts. You can see below for the specs, or just jump to our database page and compare. So, yeah, my biggest happiness here comes from the fact that the fingerprint sensor is now in the 'proper spot'. Sure, it's not 'under the glass' like we might have dreamed, but having it in an easy to reach place is a huge improvement. The other thing that has me intrigued is the dual apertures for the single lens. Something I don't think we've seen in a mobile phone before, it's always been a fixed aperture. I've always said that the devices specs can't always keep going up, but they can still get better, and something like that will definitely give the phone an edge to folks out there who are the discerning customer (at $1000 for a phone, you should be a little discerning). We still have the IP68, Qi charging, iris scanner, 18.5:9 ratio (couldn't just be 2:1, had to be special), but adding features like hte AR emoji feature (a la iPhone's animoji) and a really need super slow mo mode. Cool. Here's the full press release (and I'm sure there's a ton of other bloggers out there who go to Barcelona to actually play with it). SEOUL, Korea – Feb. 25, 2018 – Samsung Electronics Co., Ltd. introduces the Samsung Galaxy S9 and Galaxy S9+, the smartphones that reimagine the way we communicate, share and experience the world. Made for the ways we increasingly communicate and express ourselves with images, videos and emojis, the Galaxy S9 and Galaxy S9+ drive innovation with our most advanced camera yet. Redesigned with a new Dual Aperture lens that powers an innovative low light camera, Super Slow-mo video capabilities and personalized AR Emoji, the Galaxy S9 and Galaxy S9+ ensure you never miss a moment and make your everyday experiences epic. The Galaxy S9 and Galaxy S9+ deliver an enhanced entertainment experience with powerful stereo speakers tuned by AKG, immersive audio with Dolby Atmos and a refined edge-to-edge Infinity Display – a key staple in Samsung design heritage. In addition, the Galaxy S9 and Galaxy S9+ will come with the new SmartThings app, which unites Samsung IoT services into one single, smart experience. Super Slow-mo: Make every day moments epic with dynamic, slow-motion video that captures 960 frames per second. The Galaxy S9 and Galaxy S9+ also offers automatic Motion Detection, an intelligent feature that detects movement in the frame and automatically begins to record – all users have to do is set up the shot. After capturing the Super Slow-mo video, users can select background music from 35 different options or add a tune from their favourite playlist. Users can also create, edit and share GIF files with a simple tap in three playful styles of looping to watch the action over and over again. Low Light Camera: Good lighting is the secret to any great photo. But often, photos are taken in less-than-ideal lighting conditions and most smartphone cameras have a fixed aperture that can’t adjust to low or bright lighting environments resulting in grainy or washed out pictures. Similar to the way the iris of a human eye expands and contracts, Dual Aperture1 (F1.5 – F2.4) automatically lets in more light when it’s dark and less light when it’s too bright, taking photos that are crisp and clear. AR Emoji: Samsung lets users create an emoji that looks, sounds and acts just like them. AR Emoji uses a data-based machine learning algorithm, which analyzes a 2D image of the user and maps out more than 100 facial features to create a 3D model that reflects and imitates expressions, like winks and nods, for true personalization. AR Emoji shares users’ real-life emotions not only in video but also with a range of stickers and uses a standard AGIF file format so users can share their emojis across most third-party messaging platforms. The Galaxy S9 and Galaxy S9+ audio experience is complemented by our revolutionary Infinity Display. First introduced on the Galaxy S8, the bold, bright Super AMOLED Infinity Display blends right into the phone with virtually no distracting bezels. With an adaptive contrast enhancement, users can use their device even in direct sunlight. The Best Comes Standard with the Galaxy FoundationSamsung sets the standard for smartphones including IP68 water and dust resistance, and fast wireless charging. The Galaxy S9 and Galaxy S9+ now support expandable memory of up to 400GB6 and are equipped with the latest premium application processors offering powerful performance, fast network speeds and sophisticated image processing. In addition, the Galaxy S9 and Galaxy S9+ give users the peace of mind knowing that their phone is better protected by Knox 3.1, the Samsung latest defense-grade security platform. The Galaxy S9 and S9+ support three different biometric authentication options – iris, fingerprint, and facial recognition – so users can choose the best way to protect their device and applications. The devices support Intelligent Scan, a new verification mode that intelligently fuses the collective strength of iris scanning and facial recognition technology to quickly and conveniently unlock a user’s phone in any environment. The Galaxy S9 and S9+ introduce Dedicated Fingerprint, giving users the option to use a different fingerprint to access Secure Folder than the one used to unlock the phone. 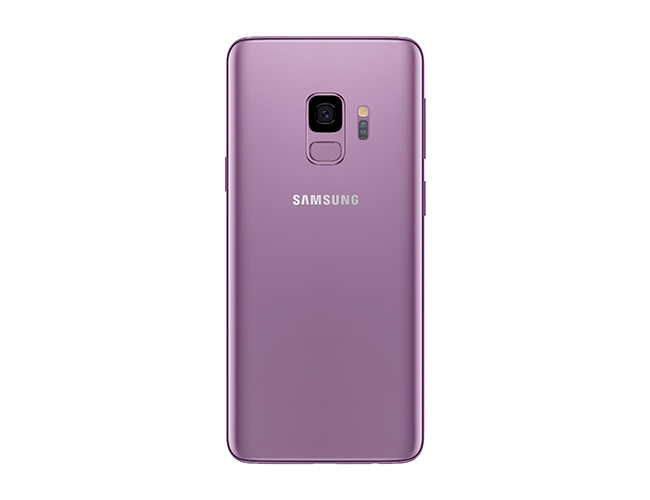 In Canada, Galaxy S9 and Galaxy S9+ will be offered in Lilac Purple and Titanium Grey. Preorders will begin February 25th and in stores beginning March 16, 2018. Consumers can trade in their old phone between February 25, 2018 and April 9th, 2018 to receive a minimum of $100 off in addition to the trade-in value when purchasing the Galaxy S9 and Galaxy S9+*. 2 Bixby service ability may vary by country or carrier. Samsung Account log-in and data network (wifi or internet connection) required to fully operate Bixby features. Voice Command recognizes English (U.S.), Mandarin Chinese and Korean. Not all accents, dialects and expressions are recognized. Voice Command works with a select, growing list of Samsung and third-party apps. See “Apps with Voice” in Bixby for a list of compatible apps. 4 Touch Keyboard function to be included in the upcoming software update. 11 User memory is less than the total memory due to storage of the operating system and software used to operate the device features. Actual user memory will vary depending on the operator and may change after software upgrades are performed.